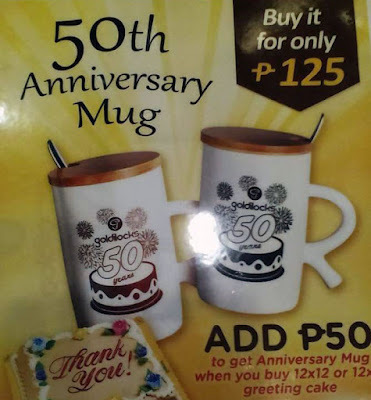 The Goldilocks Bakeshop was opened in the mid-1960s by three sister (or momma bears) who like making Philippine pastries and cakes that many families can get a taste of. The sweetness that the company radiates has gone so far that they have probably hundreds of branches in the Philippines, USA and Canada. Since Goldilocks promotes sharing, the cake lovers who will buy a 25-dollar worth of items in any of their outlets will receive a free umbrella as a gift with purchase. This is the continuation of their 50th anniversary gift campaign – with a PWP mug previously – that we have featured a couple of weeks back. How is this a noteworthy promo giveaway? It can withstand different seasons. The marketing product can be utilized during the winter, summer or rainy seasons. The fact that it has strong limbs and can protect you from natural occurrences at all times is very comforting. It won’t go out of style. Although fashion is going to be the least of your worries when rain and snow are pouring hard, or when the sun is too hot, you will not look like you have come from the 20th century because of the promotional merchandise. The umbrella comes in brown and gold colors, which are both earthy tones, so they can will be great with many outfits. Don’t forget to advertise your anniversary celebration with promotional schemes from the blog. 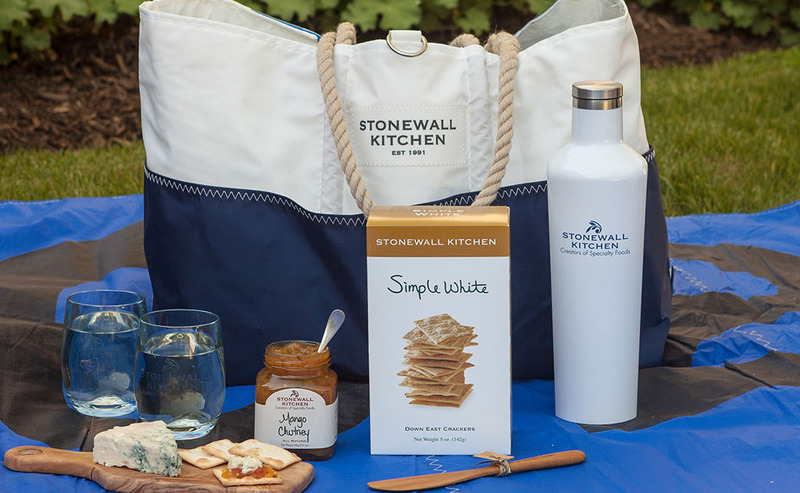 The creation of Stonewall Kitchen is not like what you would see in new businesses in which the owners have put months or even years in making their business proposal and polishing everything before they launch their products. In the former’s case, the two partners have practically just tried to sell their jams, oils and other homemade goods in local markets in 1991. The growing demand of a lot of consumers for their merchandise has led them to take the next big step of getting a manufacturing and headquarters facility. 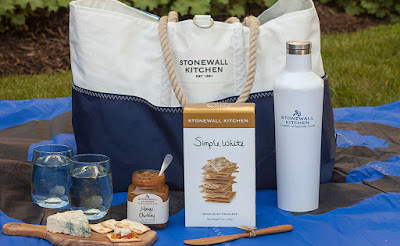 This has paid off so well that they are now celebrating Stonewall Kitchen’s 25th anniversary and giving away a free tote bag to each of their customers. Useful. This is basically a tote bag for picnic, yet you can use it when you go to the beach, an outdoor concert, or a camping site. It is quite spacious, so you will have a big room for foods and drinks that can be shared by everyone. Pleasant. The promotional product is stylish, in fact. The brand logo is not emblazoned all over the material, that’s why it does not make the bag look cheap. The color block of white and blue seems fantastic as well. Get other advertising ideas for your anniversary this year from the blog. There are a few reasons why a blue jay, a small white-faced bird, is of great significance to us. Firstly, its hawk call has helped a lot of animals from escaping danger in the wild. Secondly, the mockingjay bird would not have been possible in the famous movie franchise without the blue jay. Thirdly, this is the namesake of the Toronto Blue Jays, a baseball team that popularly plays both in Canada and the United States. 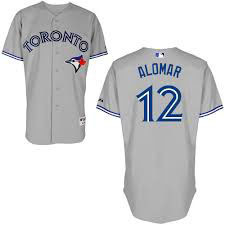 Actually, the latter has gained the respect of so many fans that they are now on their 40th anniversary celebration, and with the replica jerseys of Joe Carter and Roberto Alomar given out to 20,000 fans in their previous game series against Detroit Tigers. Brings Back Memories. The promo gift, aside from giving something cool to the team’s fans, is intended to pay homage to a couple of baseball players who have provided glory and victory to the Toronto Blue Jays during their time. Thus, their old supporters will remember those games when these two were still at the height of their careers. Shows What the Team is Made Of. The customized jerseys also show the kind of players that have come from the team. Their wins are the team’s wins too, and they do not want people to forget that. The blog has more marketing ideas for you to go through. Visit it soon. Cakes and pastries are best paired with your favorite hot chocolate or coffee. The enchanting aroma of these beverages complement the sweet taste of the desserts. 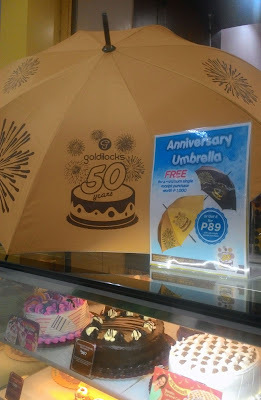 In the Philippines, one of the top makers of delicious cakes and breads is Goldilocks. The delicate pastries they have created are all part of their 50-year success. To commemorate this milestone – their golden anniversary – they are giving out premium mugs at a discounted price for any dedication cake you get. Customized for Consumers’ Needs. Stirring and keeping the heat of the drink will not be difficult, since the mug comes with a spoon and a lid. This particular mug is taller and slightly narrower than the typical ones, that’s why your regular spoon may not be able to stir it properly, and the teaspoon will be too short to reach the bottom without your finger dipping in the hot beverage. The add-ons are customized just for the consumers’ needs. Excellent Product On Sale. How big companies market a product is that they show the normal and the discounted rates at the same time. Because of it, the potential customers will see how much they can save if they get the item as a purchase with purchase. Not to mention, it is made from excellent ceramic that won’t chip easily, so it really is a great find. Celebratory Design. The logo printed on the mug is a more festive version of Goldilocks’ original logo. It is cute and shows what the brand is celebrating. This can more people to have a hand in the anniversary by at least making a purchase. Thus, the sales will increase significantly. Choose the promotional ideas that will suit your brand image. Check out the blog site now. Yogurts are healthier than ice creams. They can also be used in making breakfast meals and other desserts. This is most likely the reason why a lot of companies focused on bringing high-quality yogurt to more people are continuously thriving instead of flopping. One brand that can be categorized with the former – the ones that have achieved success in the business – is Yogurtland. For their 10-year celebration, they provided free keychains designed like the main characters from Kung Fu Panda 3. Brand awareness is not an issue. Every anime-loving individual on the planet knows Master Shifu, Po and the Furious Five from the previous installments of Kung Fu Panda. These movies which have been produced by the DreamWorks Animation have gained a lot of recognition. Hence, the promo gift keychains that resemble the said characters were also famous. More sales will visit the store franchises. If one Yogurtland shop welcomes 100 customers in a day, for instance, they can expect that number to triple or quadruple due to their adorable gift with purchase. This is not just for display, as anyone who has keys or zippered bags can use it. See the blog for more marketing ideas.